Since Otto Henze founded the PENN Fishing Tackle Company in 1932, we’ve been at the forefront of modern reel design and production. We pride ourselves on the fact that millions of experienced anglers around the world put their faith in PENN products every day. That’s what inspires us to continue our founder’s dream of manufacturing the world’s highest quality fishing tackle. George is well-known as the producer and host of the immensely popular Salt Water Sportsman National Seminar Series, the nation’s longest-running and most successful educational course on recreational marine fishing techniques. Now into its 29th consecutive year, the National Seminar Series is an institution in the saltwater sport fishing community. The tour visits eight major cities annually, and has educated over 140,000 anglers since its inception in 1988. Most notably, George is the producer and host of the immensely popular, nationally-televised series – George Poveromo ’s World of Saltwater Fishing. 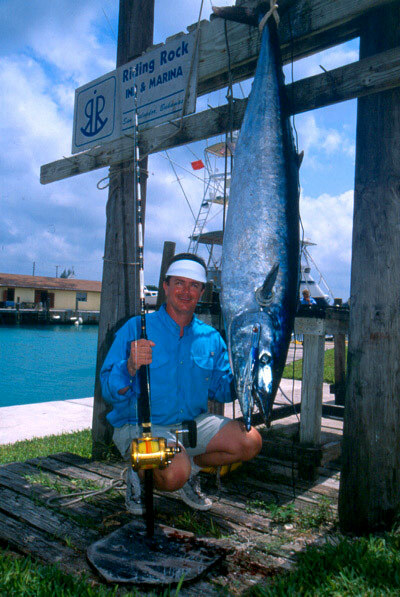 Through his hit television show, which has been airing for 16 years now, George teaches viewers how to catch a wide variety of game fish, from exotic species like blue marlin and bonefish to regional favorites such as dolphin, wahoo, tuna, king mackerel, striped bass, grouper, snapper, bluefish, redfish, flounder and numerous others. Filming occurs along the coastal U.S. and popular angling destinations abroad, and George is usually chasing the big ones down aboard his Mako 284 center console, MARC VI. 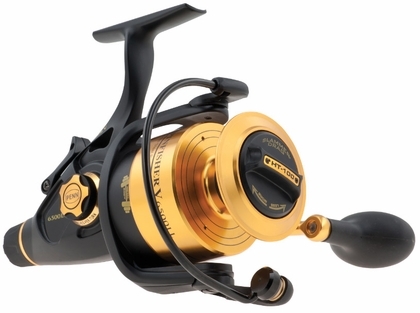 The PENN Spinfisher V features our Water Tight Design so whether you dunk the reel in the surf, or let it ride in the spray all the way home, you don’t have to worry about saltwater getting into the gearbox or drag system. Our Slammer® Drag System is a truly sealed drag system with a total of 3 HT-100 drag washers (1 on the top of the spool, 2 underneath the spool). A Full Metal Body and sideplate keep precise gear alignment under heavy loads. Live Liner models feature a fully automatic and adjustable HT-100 rear drag for fishing live baits or targeting finicky fish.